Silk tie-dye scarf from the North of Thailand. Silk summer around your neck. This versatile silk scarf is handmade by Vinita in Thailand. 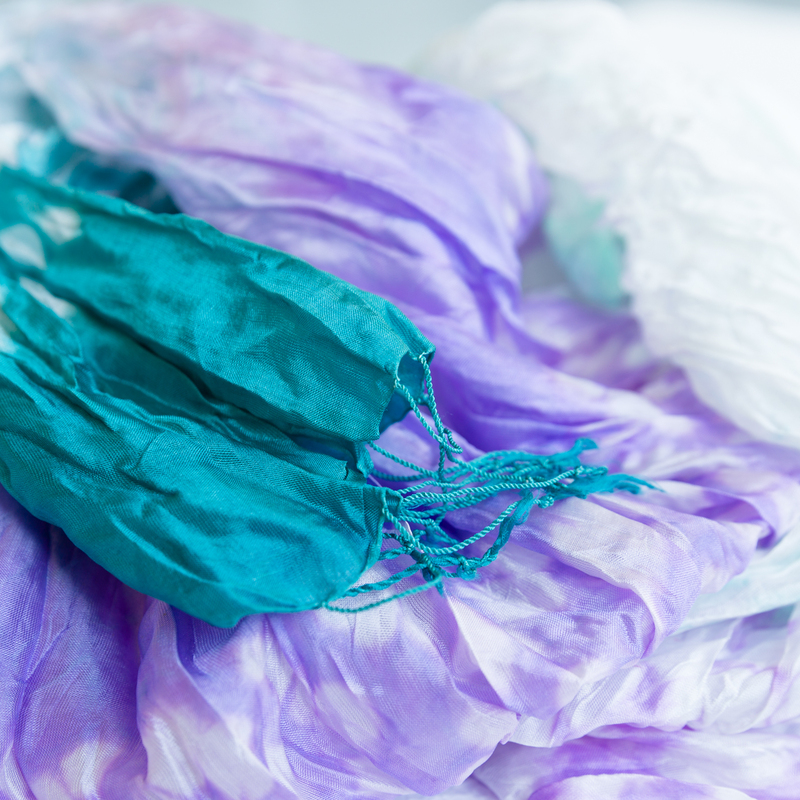 Vinita knows how to combine colours and dyes her silk and cotton scarves using dyeing techniques like batik or tie-dye. This piece was tie-dyed in different shades of violet and ocean green. A great piece to carry with you day and night!